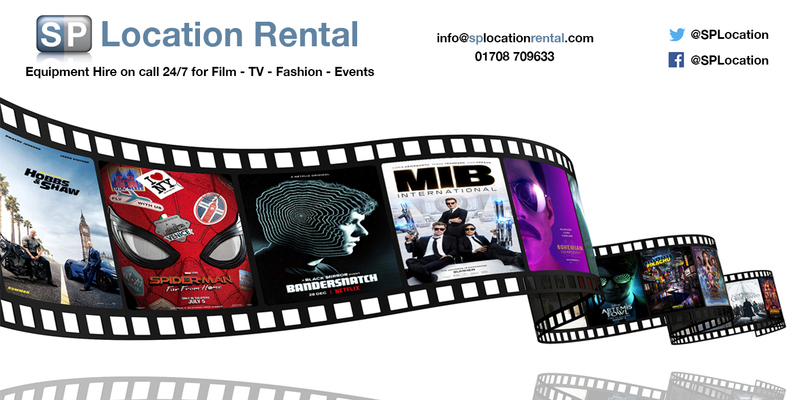 SP Location Rental are an equipment hire company working mainly within the Film, TV and Fashion industries. We also supply small productions, private functions, still shoots and events. We have supplied equipment to many locations all over Europe and Africa. SP Location Rental supply equipment to all departments and our experienced management team have over 45 years of industry experience between them. We work closely with our Clients and Location Managers to provide the highest possible quality of service. We have experience in the logistics industry and in Location Management and understand that equipment has to be delivered on location, on time, 24 hours per day, 7 days per week. SP Location Rental have our own vehicles to deliver equipment throughout the UK and Europe to your location. All of our staff are very film and location friendly, understanding the requirements and needs of special projects. For more information please select from the main menu on the left. The SP Location Rental Guarantee. Quality Service, Professional Equipment, On Location, On Time at the Best Prices.